Finding yourself in paradise on New Year's Eve is a privilege, congratulations! Now, Cancun offers so many things to do that the lists seems endless: tour the sea by catamaran, explore the lagoon on a waverunner, do a snorkel tour, etc; However, whoever comes to Cancun and hasn't done at least one of the following activities is missing out on the best of Cancun; So before this glorious 2016 ends, we recommend you do them. Legend has it that this beach owes its name to the dolphins that used to play here years ago. The truth is that this spectacular beach is one of the most popular since it has always played "The look out" or as it is also called, El Mirador, of this beautiful city. No matter if this is your first visit or not, you will never not be hypnotized with that turquoise sea so characteristic of the Mexican Caribbean. 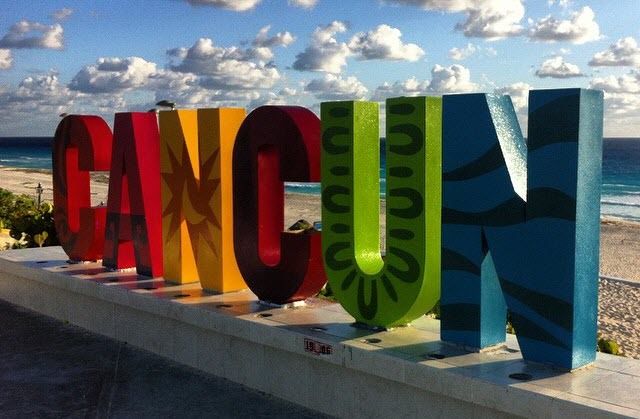 Recently the new CANCUN sign has reinforced this beach as a classic site of the city, and while the line to take your photo maybe long, the wait is well worth it. Playa Delfines is one of the 7 beaches considered Blue Flag that certifies the quality of the water and the excellence of the facilities. You know, coming to Cancun and not visiting El Mirador, is like not having been here at all. 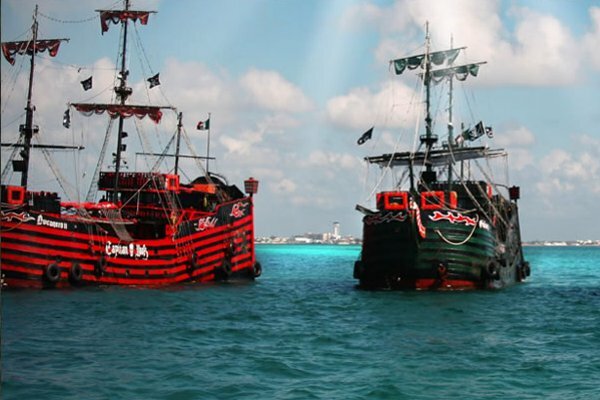 There is nothing more fun, exciting, or spectacular than cruising at night on board a pirate ship. Leaving at sunset your adventure begins and becomes very funny in the midst of some not so bad pirates that, with their night show, will make you laugh more than once. The music, the lights and the exquisite dinner are the ideal accompaniment to appreciate the beauty of the endless row of lights of the city. When it seems this is all coming to an end, suddenly some incredible fireworks paint the darkness of the night with vibrant colors. We don't know about you, but at that exact moment we make a wish, maybe you'll want to do the same before closing out 2016.
Who doesn't enjoy some shopping while on vacation? 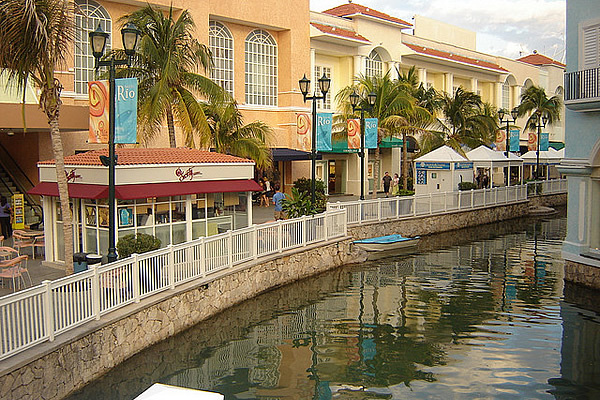 Cancun is no exception to great shopping and has a mall that is hard to resist, not only for the prestigious shops but for the originality of its infrastructure. In Plaza La Isla water is everywhere,water of Nichupté Lagoon flows through channels, beautiful fountains are displayed between corridors and of course its phenomenal location in front of the lagoon. And what about restaurants? Eating here is a feast for the palate. You'll find everything from casual dining to prestigious restaurants. Come visit and fall in love with a new way to shop. Do you have your hotel reservation already? 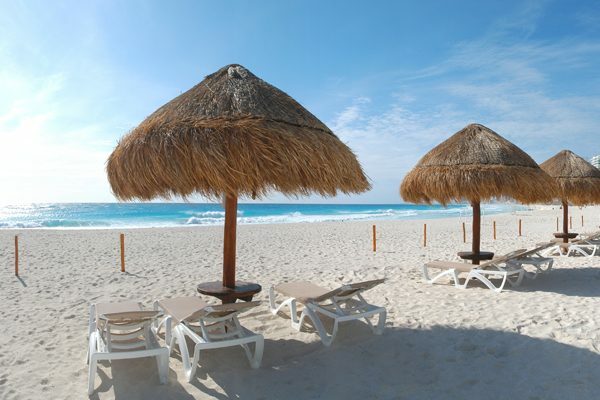 We have 4 hotels in Cancun that will fit any budget: Sunset Royal Beach Resort, Sunset Marina Resort & Yacht Club, Laguna Suites Golf & Spa and Ocean Spa Hotel. Make your reservation here.